1. เสาหลัก : แป็ปเหลี่ยมเหล็กดำ ขนาดประมาณ 3x3 นิ้ว หนา 3.2 มม. 2. ขั้นบันได : แป็ปเหลี่ยมเหล็กดำ ขนาดประมาณ 1.5x1.5 นิ้ว หนา 3.2 มม. Size : Width 0.60 m. x High 4.60 m.
1. Major Pole : Metal Steel Square Pipe size 4x4 inch Thick 3.2 mm. 2. Staircase : Metal Steel Square Pipe size 1.5x1.5 inch Thick 3.2 mm. 4. Wheel : : The customize wheel molding model. Price : …. Price per Metre (Length x Wide x Slope. Addition we will realize of each installation case. Hi-Light ! All Ladder Models are flexible, scalable, knockdown, have lightly weight, movable, easily to using. 1. 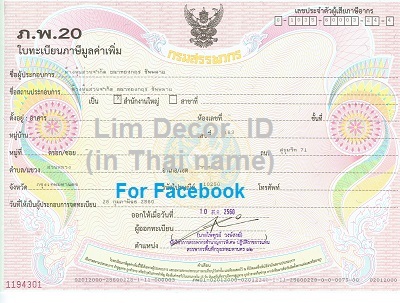 Lim Décor had adopted, and made from Stainless Steel No.304 by Thainox. 2. Lim Décor had adopted, and made from Metal Steel. About Coloring, We must had protectant color coating first, then we will have really color coating Importantly, This product had painted owen by paint booth. 3. The really size of material or model can changing follow as value customer demand. 4. The price can changing without prior notice.